Get Ready for Akshay and Ranveer in a hilarious episode of the new season of Koffee with Karan! 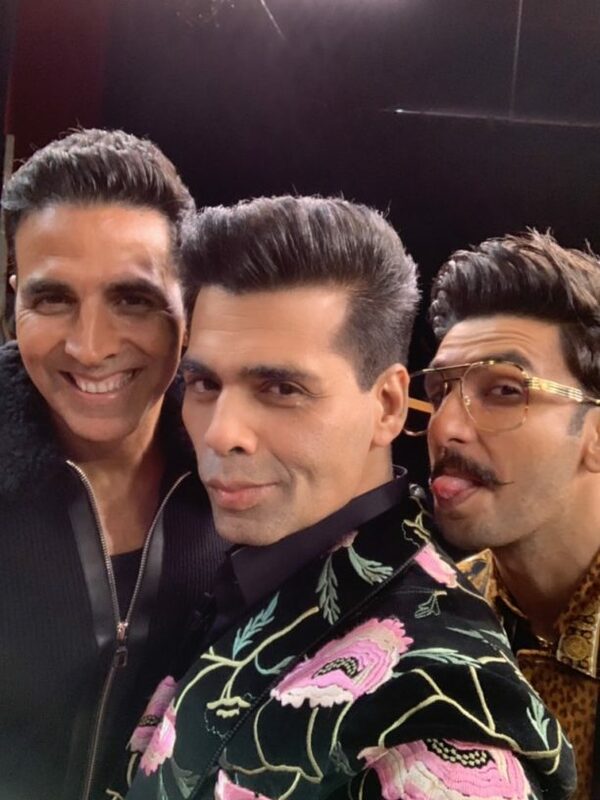 The dynamic duo, Akshay Kumar and Ranveer Singh are all set to make Koffee With Karan Season 6 the best one yet, just by embracing their entertaining and hilarious selves. The most-awaited show of the year, Koffee with Karan that debuts on 21st October 2018, will witness a series of Bollywood megastars being as candid as it gets. The ‘Gold’ star, Akshay Kumar decided to share the couch with a fellow fitness-freak, friend and superstar Ranveer Singh. The episode, due to air on 11th November, is already being hailed as one of the most exciting ever and the behind-the-scenes have already taken the fans by surprise and left us wanting for more. This episode is undoubtedly expected to be one of the most-loved episodes owing to the actors’ unique looks and enthusiasm alike. On the work front, Akshay Kumar will be next seen in the fourth instalment of comedy franchise Housefull. He also has 2.0 with Rajnikanth, Kesari and Good News, lined up. 16 queries in 0.708 seconds.